A group of youth involved in the religious-Zionist Bnei Akiva program have started organized prayers on behalf of Syrian civilians who are at risk due to the ongoing civil war in their country. 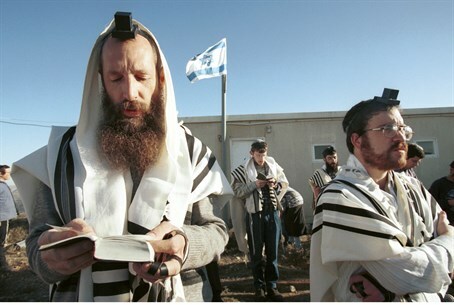 The prayer initiative, which began in Petach Tikva, has now spread to Jewish communities around the world. Bnei Akiva volunteers who are doing a year of national civilian service in Petach Tikva came up with the idea of coordinating prayers on behalf of innocent Syrians. While Judaism teaches that any individual can pray to G-d and be heard, prayers said together as a group can have special power. The young volunteers also wished to have a formal prayer to say, in order to ask for divine mercy with the best possible wording. Rabbi Cherlow also revealed that he has written his own prayer for the Syrian people. He passed it along to the young volunteers, and told them they could share it with others. The rabbi praised the young volunteers for their initiative. The secretary-general Danny Hirshberg heard of the initiative and was so inspired by the idea that he decided the movement as a whole should take part. Hirshberg called on Bnei Akiva youth in Israel and around the world, and on the Jewish community as a whole, to say a special prayer in synagogues this Sabbath for Syrian civilians. “The Israeli public needs to look beyond the screen of hate and enmity to see the pain of those civilians being hurt by the Syrian tyrant,” Hirshberg said.